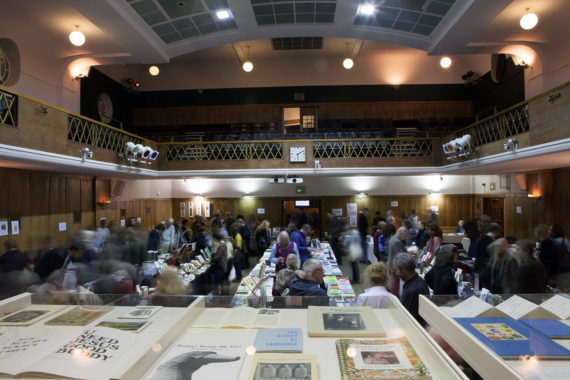 The annual Small Publishers Fair held each November in London’s Conway Hall showcases an eclectic mix of exhibitors, brought together by the community of the book and the long-standing history of the event, which has been running since 2002. There are regular exhibitors each year, with Coracle Press travelling from Ireland, Moschatel Press from Scotland, Boekie Woekie from Amsterdam, and Uniformbooks from Devon. The fair has built a reputation as a place for poets, artists, writers, dealers and presses to come together and celebrate the year’s publications, from poetry chapbooks to artists’ books. The free, two-day event includes talks, readings and book launches, and a themed exhibition, displayed on the central stage area. This year sees ‘Peter Foolen: Books & Editions 1987-2017’, exhibiting selections from Eindhoven-based Foolen‘s extensive back catalogue of collaborative publishing with artists and writers, including Peter Liversidge, Thomas A Clark and Simon Cutts. New exhibitors for 2017 include London-based book artist Caroline Penn, whose beautifully produced Chair Stories series considers the relationships people have with chairs. 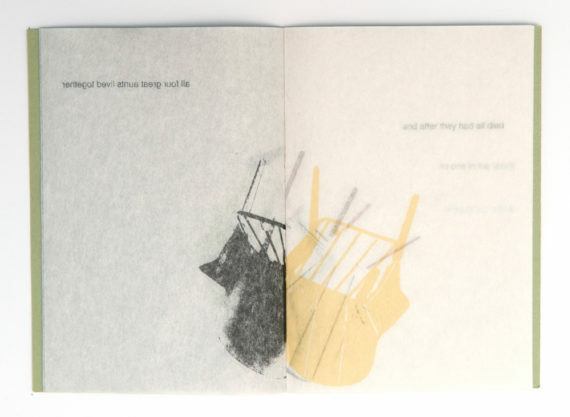 Each book tells the story of one person and a chosen chair, printed on Japanese papers so that the layers of history and the narrative are visible throughout, blending the fractured images that reconstruct a memory. Danish artist Mette-Sofie D. Ambeck will bring her new artist’s book, 367, to the fair, a reflective book of a year’s worth of photographs of the sky, taken each day between 12-2pm. 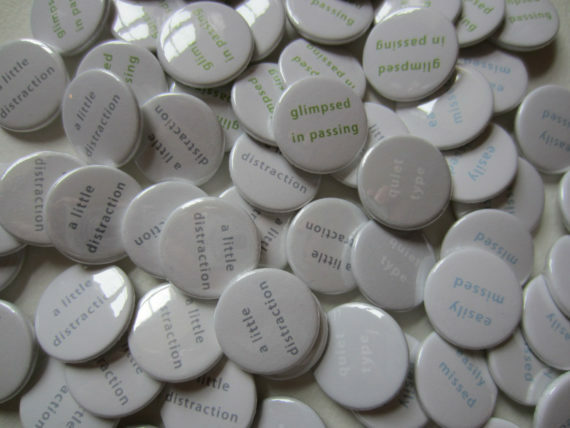 Norwegian artist Kurt Johannessen will launch new publications including And Mountain and Seed and, while Julie Johnstone’s Essence Press will be showing artists’ books and excerpts developed from her new project of printed badges as wearable publications. London-based artist and Disinfotainment founder Mark Pawson will bring his new book, Mapping, and a selection of his printed badges including the ‘I Like Reading’ set, that champions the simple act of taking some time out to read a good book, with statement badges including ‘Read More Books’ and ‘What Are You Reading at the Moment?’. It’s a great place to visit and discover new books and enjoy the atmosphere of celebrating small presses and the printed artefact.